Both gastric sleeve surgery and lap-band surgery use restrictive techniques to provide weight loss. Both are similar regarding expected weight loss and complication rates, but they do have significant differences. So let’s take a look at gastric sleeve vs lap-band and really see what those differences and similarities are. The main difference between these bariatric surgeries is whether or not the operation is reversible. Gastric sleeve is a permanent weight loss surgery, unlike gastric banding. However, gastric sleeve is a starting surgery that many patients opt for because it gives the option to switch to duodenal switch or gastric bypass surgery. Small stomach created via implant. 70-85% of the stomach is removed. Surgery Description Long narrow vertical pouch (about 2-3 oz or 60-100cc). Same shape as the duodenal switch pouch but smaller. No intestinal bypass. The VG significantly restricts the volume of food that can be eaten. There is a no malabsorption of nutrients or dumping. The Lap-Band is an adjustable silicone ring that is placed around the top part of the stomach creating a small (1-2 ounce or 15-30cc) pouch. It moderately restricts the volume of foods the patient can consume. The Band delays emptying of the pouch and creates the sensation of satiety. No malabsorption. Patients can expect to lose 60%-70% of excess weight in about two years. Long-term results not available at this time. Easily converted to Duodenal Switch or Gastric Bypass if needed. Patients can expect to lose 60% of their excess weight. This procedure requires the most effort of all the systems to be successful. Patient must be committed to healthy eating habits and exercise. Patient must eat three meals a day containing 600-800 calories per day (recommended for the first 24 months) and about 1000-1200 after that. There is no dumping or diarrhea. Patients must eat three meals per day consisting of less than 1000 calories per day during weight loss. Patients will need to avoid certain foods that can become “stuck” such as bread, rice, nuts, dense meats that may cause pain and vomiting. Patients must not drink fluids with meals. VSG is useful for high risk or very high BMI patients (BMI > 60kg/m2) patients as a “first-stage” procedure. Much lower complication rate than the RNY Gastric Bypass or Duodenal Switch due to there being no intestinal bypass performed. Gastric banding is most useful for patients that are more disciplined in following a strict diet and will commit to an exercise program. Gastric Sleeve Surgery is also known as vertical sleeve gastrectomy (VSG). Gastric sleeve surgery can be performed laparoscopically and provides a lifetime approach to weight loss. 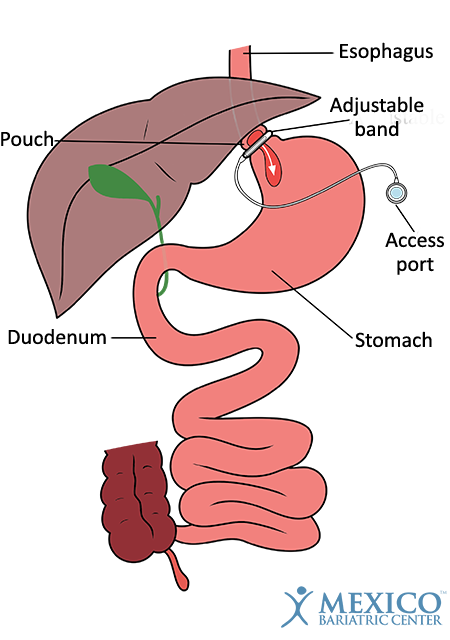 Gastric sleeve patients commonly opt to revise the surgery to duodenal switch and any gastric bypass. 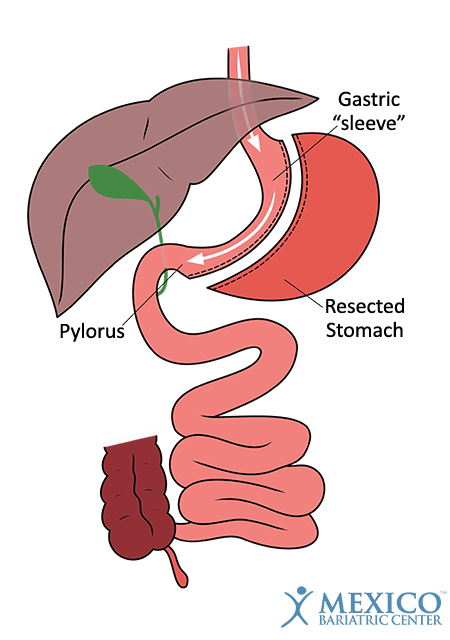 Gastric Banding Surgery is also known under the brand names: Lap-Band and REALIZE band. Often performed laparoscopically, gastric banding is a very common procedure that requires a commitment to lose weight and many physician visits. We hope that this cross-comparison of gastric sleeve vs lap-band (gastric banding) surgery has proved helpful for you. If you have any questions, you are welcome to contact us at any time.